NO APPOINTMENT NEEDED FOR EMERGENCY REPAIRS!!!! Welcome to Hal's Auto Clinic, offering expert repairs and maintenance for all makes of foreign and domestic vehicles. From the moment your wheels enter our garage, you can count on fast, reliable service by experienced mechanics using only top-quality replacement parts and fluids. For all your service needs, bring your car to the name Michigan trusts -- Hal's Auto Clinic. On this site you will find great auto repair specials which update each quarter so check back often. Also, don't forget to sign up for our monthly eSpecial offers, to receive exclusive auto repair deals for our email customers only. Looking for a Quick Quote for your auto service needs? Simply fill out the Quick Quote form and one of our technicians will get back to you within 24 hours. Thank you and we look forward to servicing your car or truck! We provides diagnostics, major car repairs and minor auto repairs on most cars and light-duty trucks. Our focus is on providing excellent customer service that has been the foundation of our business for many years. We offer auto repair services to the greater community including brakes, tune-ups, and oil change services for your vehicle. 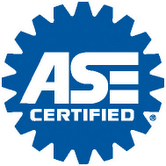 Our certified technicians keep their skills current with training in the latest technology available for passenger cars, performance and light truck/SUV's. Complete under-car services, such as oil changes, brake repair, shocks, struts, wheel alignment, transmission repair and fluid flush for both foreign and domestic vehicles are readily available. AAA Approved Auto Repair Shop. Receive: Hit a pothole? Free suspension check.